Wood Acres Tree Specialists, a commercial and residential tree service in Kensington, Maryland,?recently renewed?their 3-year Residential/Commercial?Accreditation in accordance with Tree Care Company Accreditation standards put forth by the Tree Care Industry Association (TCIA), America’s oldest and most respected tree care trade association. Accredited companies must re-apply every three years so that TCIA can verify that the company continues to meet the standards of the accreditation and employs best business practices. The 3-year Accreditation achievement demonstrates that Wood Acres Tree Specialists?has undergone an extensive review of practices as well as a site visit, and adheres to all accreditation standards. For more information regarding the Tree Care Industry Association, visit?www.tcia.org. 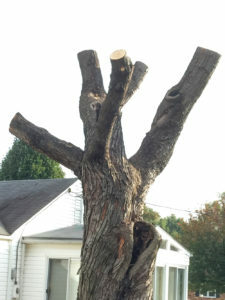 For more information about tree care visit?www.treecaretips.org. For more information regarding the Accreditation program or to obtain digital photos, contact Bob Rouse at (800) 733-2622 x117 or email?rrouse@tcia.org. 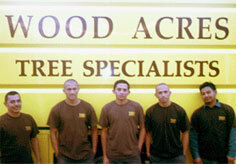 For more information regarding Wood Acres Tree Specialists,?visit woodacrestree.com?or call (888) 464-3926. These photos are great examples of improper pruning. Improper pruning is a huge stress on trees. It removes all of the foliage at one time, so the food producing structure of the tree is immediately removed. When that happens, the root system is not able to cope with such a huge loss all at once, which can lead to root death. Another concern about this type of improper pruning is leaving large pruning cuts. 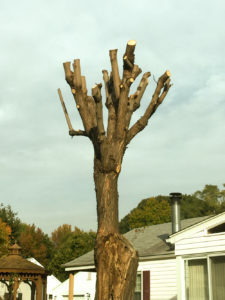 Larger pruning cuts are sometimes necessary to properly prune trees, but larger cuts do not heal as well as smaller cuts. These large cuts have the greater potential to rot than smaller cuts. When this tree produces new shoots and new leaves, all of the new shoots and leaves will be attached to these potentially rotten areas. This increases the risk of the limbs failing in the future. People think that when trees are cut like this, they become safer. 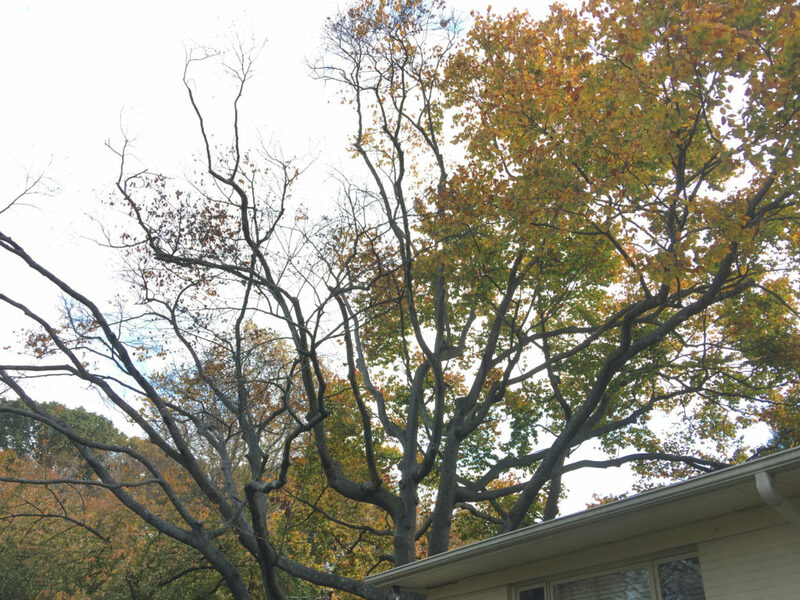 With the increased potential of rot is taken into consideration, improper pruning actually raises the risk level of the tree. When pruning a tree, no more than 25%-30% of the foliage should be removed in one pruning cycle. Pruning cuts should be made at laterals, and pruning cuts should be as small as possible. For proper pruning of your trees contact the certified arborists at Wood Acres Tree Specialists. If you look at the canopy of this tree, the back half looks perfectly normal. ?The leaves are nice size, they are showing good fall color, and they are still on the tree. ?But the front half of the canopy has very few leaves on it. ?An uneven canopy should prompt an arborist to take a closer look. This particular beech is in decline. 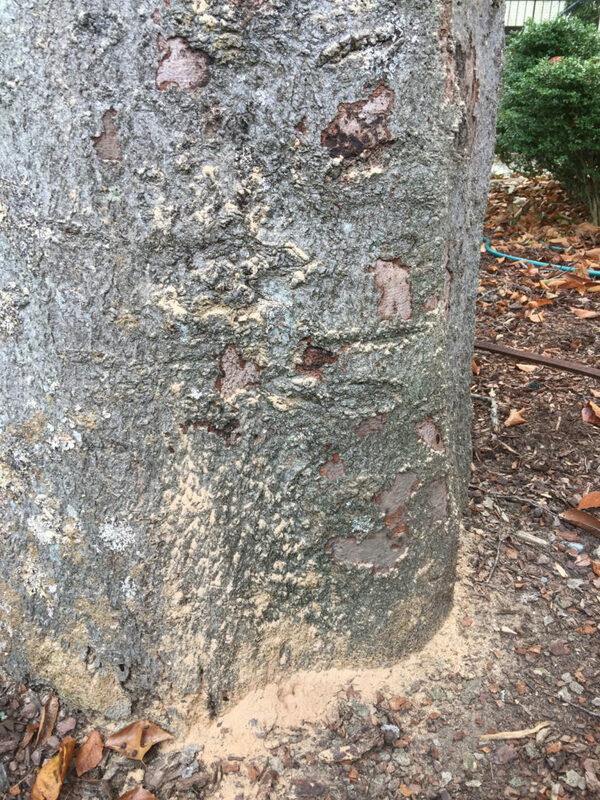 ?The tree is infested with wood boring insects, shown by the bright tan sawdust at the base. ?It is also diseased with hypoxylon canker disease, which is shown by the pinkish/purplish/gray splotches where the bark has fallen off. This tree will need to be removed within a year as there is no cure for the hypoxylon canker disease. ?We can treat the tree and help prevent future infestations of the wood boring insects, but it would not save the tree due to the disease attack. 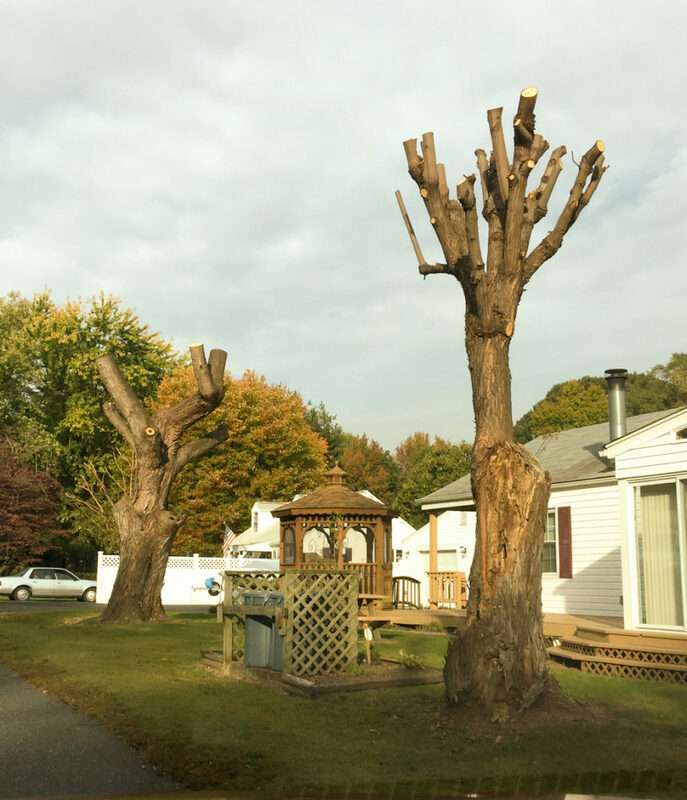 For expert solutions regarding?a tree you feel is in decline contact Wood Acres Tree Specialists for treatment or removal.